I received complimentary products as being a member of the Netflix Stream Team. All opinions are my own. This year you can celebrate as a family and still have time for a parents-only party with a whole new set of New Year’s Eve countdowns, available only on Netflix, designed for preschoolers, tweens and everyone in between. You choose when to say goodnight, and kids choose how to celebrate with their favorite characters. Already dreaming about pressing play on that New Year's Eve celebration long before the clock strikes twelve? You're not the only one. According to a recent survey from Netflix, 9 is the new midnight for parents in the U.S., with nearly half of parents (48%) saying they'd ring in the new year by 9 p.m. My kids bedtime is normally 8 p.m. and they don't do well when they stray from their schedules. Also, they have no clue what New Year's even means. So grab your party hats, noisemakers and 2016 glasses then celebrate those famous 10 seconds, whether the ball has dropped or not. We won’t tell your kids it’s not midnight if you don’t. 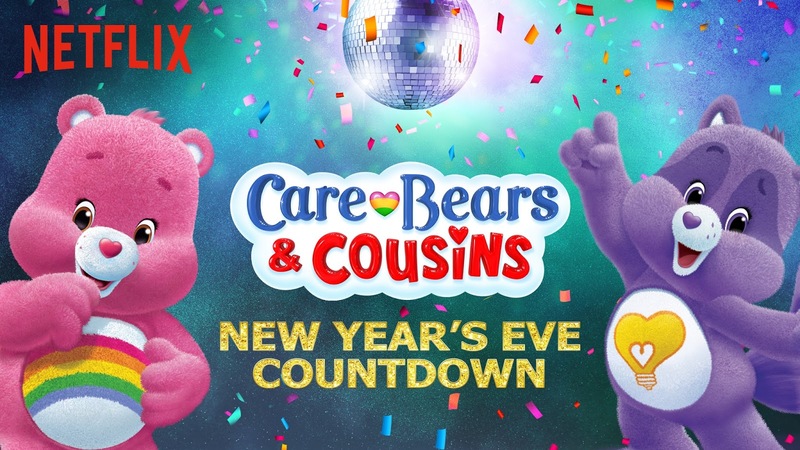 Party with Puffin Rock, Care Bears & Cousins, Inspector Gadget, Mr. Peabody & Sherman, King Julien, or Project MC2.